According to renowned Polish journalist Ryszard Kapuscinski, Tanzania’s “bayaye” or idle youth await the slightest street spectacle, which will instantly draw large numbers. Case in point, a truck collides with a boda-boda driver (motorcycle taxi) in Arusha town on Sokoine Road and dozens immediately gather. ARUSHA, Tanzania — Despite statements made by the Tanzanian government to discredit the opposition and blame unemployed “idle youths” or “rioters” for actions taken against the state, the governing CCM party’s public relations campaign seems doomed to fail. The CCM (Chama Cha Mapinduzi) party, or Party of the Revolution, has been at the head of government in Tanzania for half a century. The party feels democracy is being threatened in Tanzania due to violent protests which have rocked the East African nation over the last few months. From north to south, it seems there’s a general lack of progress while neo-liberal economic policies are replacing the socialist past of this country. To many Tanzanians, President Jakaya Kikwete’s market reforms seem more designed to enrich the administrative and political capitals of Dar es Salaam and Dodoma than benefit some of the poorest regions of the country. May 21, 2013, President Kikwete proclaimed that the country’s natural gas discoveries in the south are for the benefit of all Tanzanians and not just for those lucky enough to be living above this valuable resource. Residents in the southern region of Mtwara, where the resource was discovered, are against the government’s decision to exclude them from talks on the Chinese-funded pipeline. President Kikwete’s plan for the pipeline is to transport the natural gas to Dar es Salaam, but because the president didn’t address this regional issue, a stand off between residents and police ensued, causing many deaths. 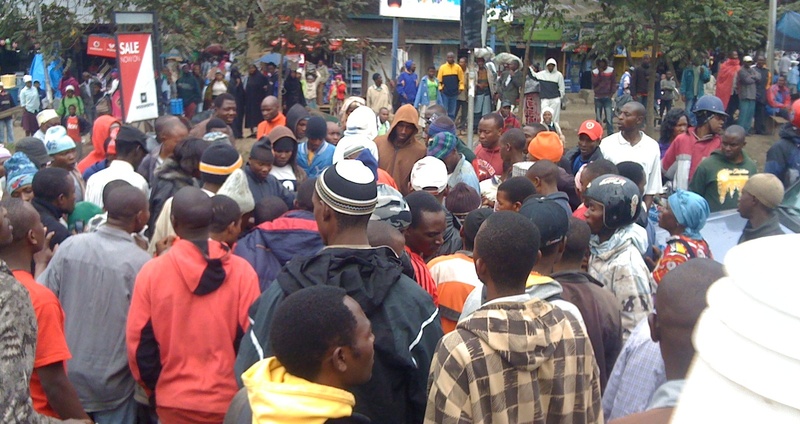 Earlier last May, a large student demonstration woke up the sleepy northern region of Arusha. This relatively quiet tourist mecca was brought into the national spotlight when accounting students faced off against police due to a general lack of security on campus and one student’s murder at the front gate of the IAA- Institute of Accountancy Arusha. In response to both incidents, army and police forces were sent in to quell the protests using force, instead of trying to use more diplomatic means. This has lead many Tanzanians in Mtwara and Arusha to believe these regions have been neglected for far too long. Rising unemployment in Tanzania is cited by the government as one of the main reasons why youth are getting into the streets and voicing their discontent, which according to many Tanzanians has been rare in the history of this country, especially since the 50 years of independence from Britain. Arusha-based musician and social activist, Lwanda Magere sees a dramatic shift happening politically in his country. The 2013 UNDP Human Development Index (HDI) ranks Tanzania at 152, which is considered low. The UN’s flagship anti-poverty organization ranking shows the country has a long way to go before this starts to change. Ryszard Kapuscinski’s 2001 memoir of his storied journalism career in Africa. It seems not much has changed since Kapuscinski’s time in Tanzania, where he covered the period pre- and post-independence, returning many times throughout his storied career in Africa, from 1957 to 1990. And for the government of Tanzania and President Jakaya Kikwete? What can they expect to happen as a result of these clashes, which were a response to government inaction? A growing opposition movement in the country. More protests and regional spats with Dodoma, unless they work together to address the regional indifference throughout Tanzania and spend more time trying to build bridges with the regions than burning them. This story was first published on the Toronto Star – JHR “Africa Without Maps” blog.